Ford is one of america's oldest auto makers with some of the most popular vehicles on the market. 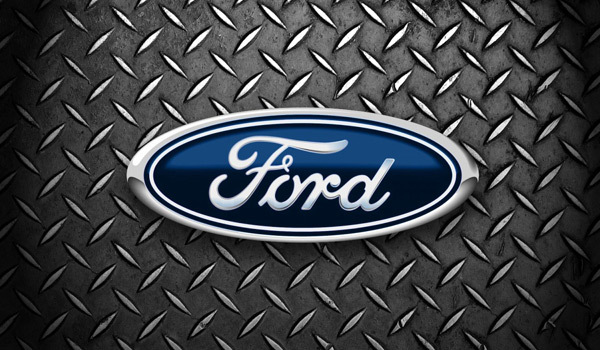 Under Ford they make autos and commercial vehicles as well as heavy duty trucks, tractors, and automotive components. Ford has some of the best engines around but like all engines they start to wear down so it should be in your best interest to take care of it. Whether you have a Ford F-150 or a Ford Focus, GO-15™ engine treatment could help you extend the life of your vehicles engine, get better gas mileage, and reduce emissions. GO-15™ works with every kind of petroleum and synthetic oils, greases, and hydraulic fluids. For every 5qt engine add 10oz of GO-15™ at every scheduled oil change. Where ever your oil goes so does GO-15™ where you can reap the rewards. You can use it in both your new and old Ford car or truck. It helps keep metal parts in new running condition for long periods of time. For older vehicles, it will repair years of wear and tear that restores lost performance and efficiency. 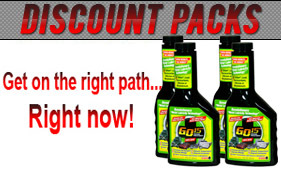 GO-15™ works right away after it is applied to your Ford engine. First it cleans the metal, helping get rid of contaminants that cause increased friction and are the main reason for higher emissions as your car ages. You wont see an increase in gas mileage immediately. Over time this process will take place and is facilitated by the heat and friction generated by the engine. After your first engine treatment it will take roughly 800 to 1,000 miles before you notice an increase in mpg. Continuing to re-treat your Ford engine with GO-15™ , 8 oz. after each oil change, most likely you will notice that you have increased your fuel economy from 15% to 20%. Every Ford car or truck with have a variety of results depending on the year, engine, make and model. We have had several success stories with GO-15™ engine treatment on Ford vehicles. New or old, car or truck you will see results whether it is increased miles per gallon, reduced emissions or longer engine life. Mr. Don Gray who is a heavy truck sales and service manager with Caterpillar with over 25 years experience in his industry, documented the results of his experience with Engineous GO-15™ in his 1995 Ford Explorer. He really was skeptical and didn't think any products like GO-15™ worked especially since he was towing heavy machinery almost every day with his Ford Explorer. In the end Mr. Gray experienced an overall 22% increase in MPG while pulling a heavy load using 87-Octane fuel.